If you have always dreamed of becoming a freelancer, you need to kick-start your freelance career immediately. No matter how busy you are, it’s not too hard to find one or two hour a day dedicated for this career you are about to start. 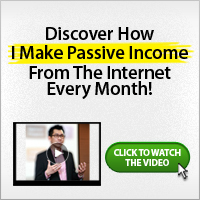 You will need this to set yourself on the road to a substantial freelance income. Just like every other career, the first thing you will need to do or re-do to launch your freelance career is a red-hot resume. You need this as a way of promoting yourself to your prospective clients. So open up your word processor, and spend some time editing your resume into a sharp, single-sheet document. The biggest mistake people make when writing their resume is to forget that this is their sales pitch. It is not a life history – prospective clients don’t give a hoot about how many months you spent touring Africa as a student. What they want to know is simple – can you do the job? Ensure that your resume is focused on answering that simple question. Tell your prospective clients clearly and concisely about your qualifications, and your related experience. Keep it short and to the point. Don’t claim experience you don’t have, or distort your experience to fit a job requirement. Just sell your strengths honestly and clearly, and you will be sure to make a good impression. Summarise each key element of your career to date into a separate paragraph. Use active verbs – ‘I worked on’ not ‘I was able to work on’. Make sure that each paragraph is easy to read. Remember that the prospect may have many resumes to consider, and you only have a few seconds to make an impact. Make those seconds count. Once you’ve finished editing, check your resume carefully for spelling mistakes and grammatical errors. A simple mistake can ruin an otherwise perfect document.